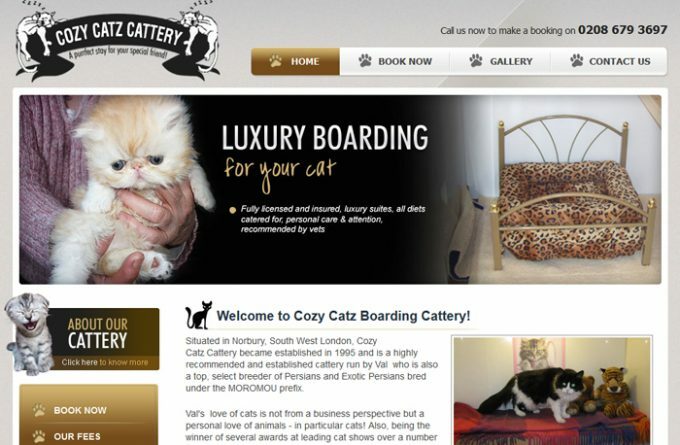 Established in 1995 and convenient for cat owners in South West London, Cozy Catz cattery is situated in a residential garden setting in Norbury. Various sizes of accommodation are available but no details are available. For more information about Cozy Catz Boarding Cattery, you can visit them in person, visit their website, telephone or send them an email (if available) using the form below.